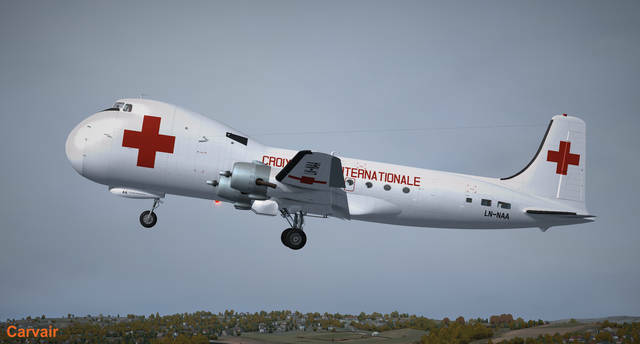 Discover this iconic and aircraft, first flown in 1942 and still in operation in the 2000s. 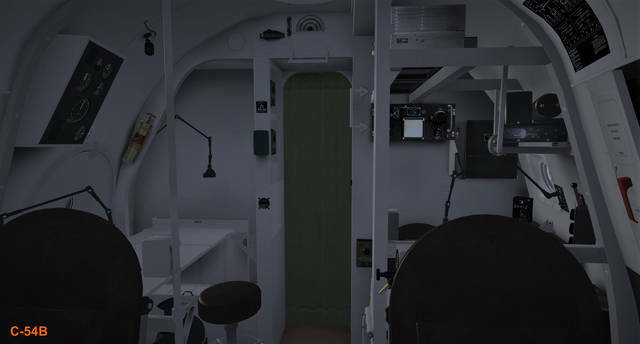 This package contains 10 variants covering operations over the type's entire history. 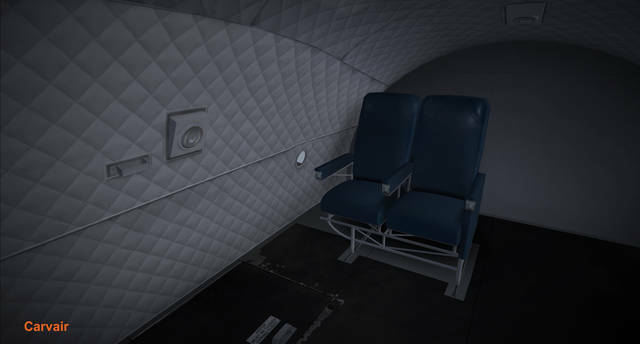 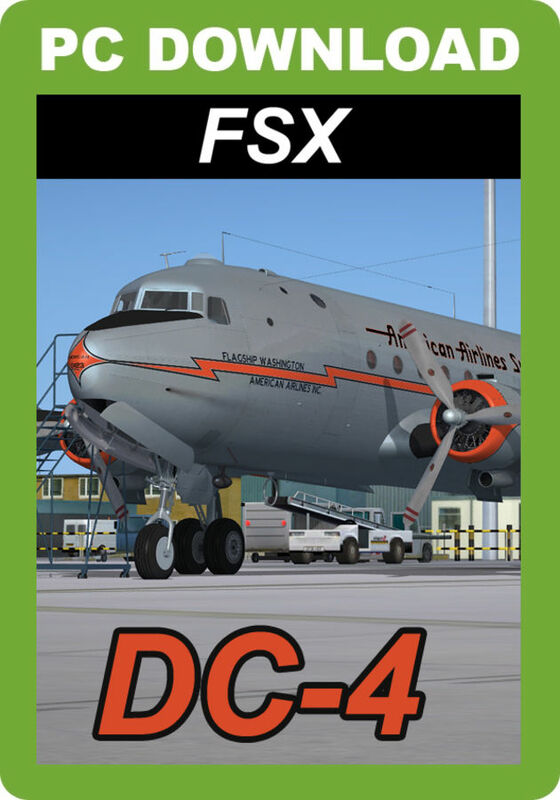 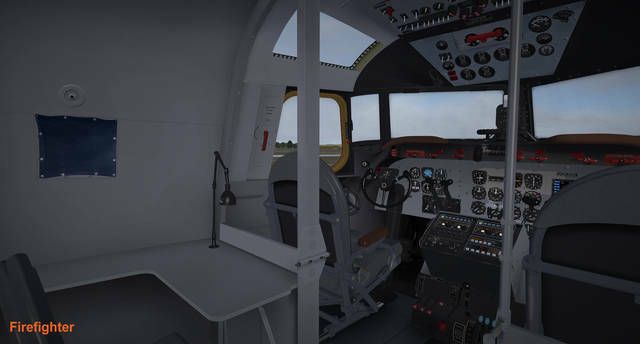 You will be able to experience every aspect of its amazing and hard-working history from World War II to the post-war commercial airlines, from military use around the world to firefighting, and even the extraordinary Carvair cargo variant developed in the 60s. 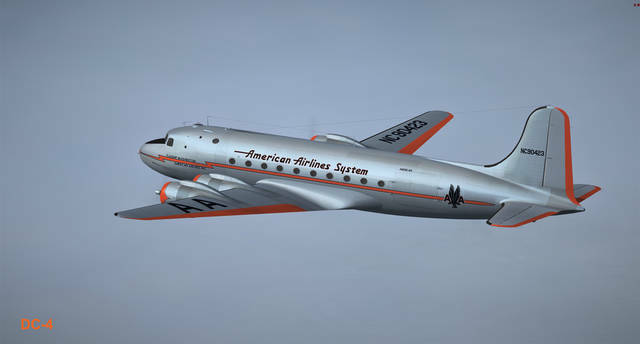 In 1938 the Douglas Aircraft Co. decided to produce a four-engine transport about twice the size of the successful DC-3. 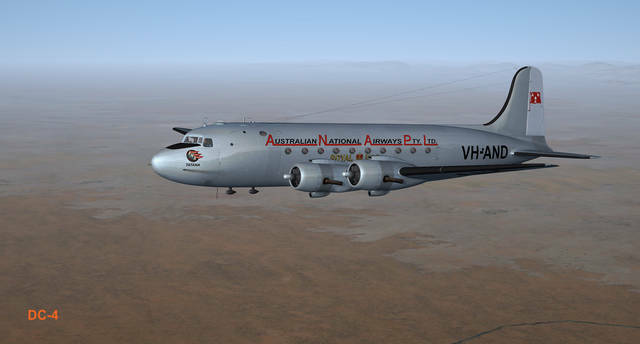 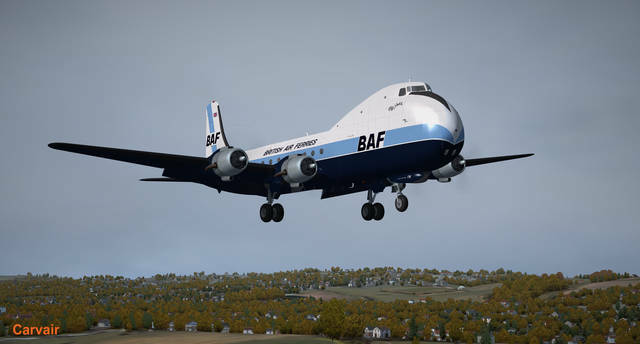 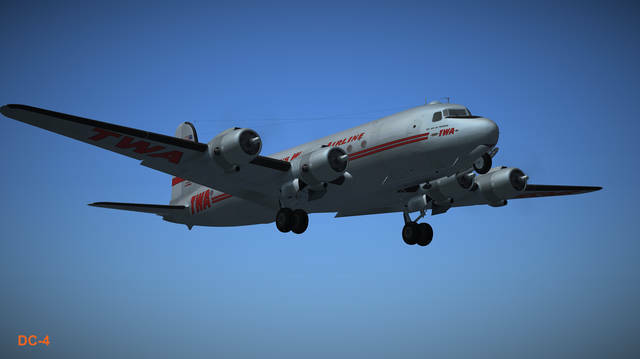 It built a single DC-4E prototype, to carry some 42 passengers. 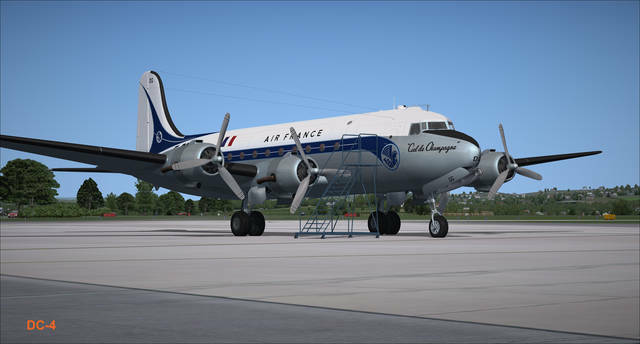 In development it proved too expensive to maintain, and so the company started again and developed a new model, the less complex DC-4. 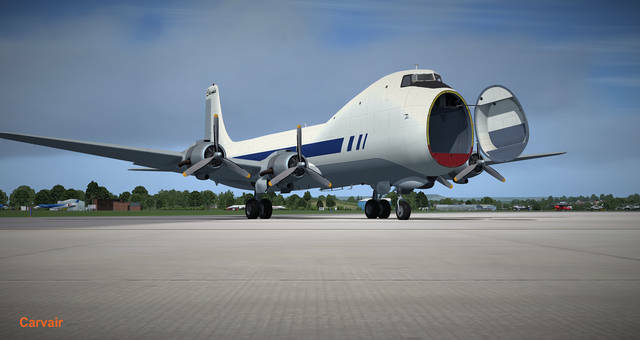 Due to World War II, the aircraft was not put into commercial service until 1946, but in the interim its military derivative, the C-54 'Skymaster' transport, was ordered by the U.S. Army Air Forces starting in 1942. 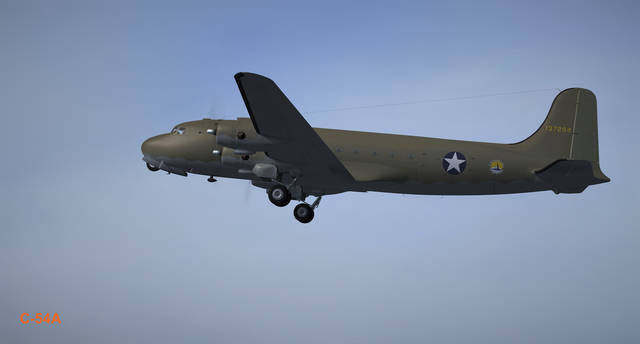 The first, a C-54, flew from Clover Field in Santa Monica, California on 14 February 1942. 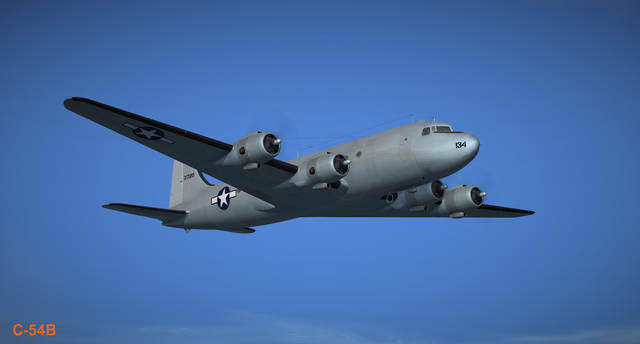 Over the production history of the aircraft, Douglas ended up building 1,241 DC-4s and its military counterparts, including the R5D for the Navy. 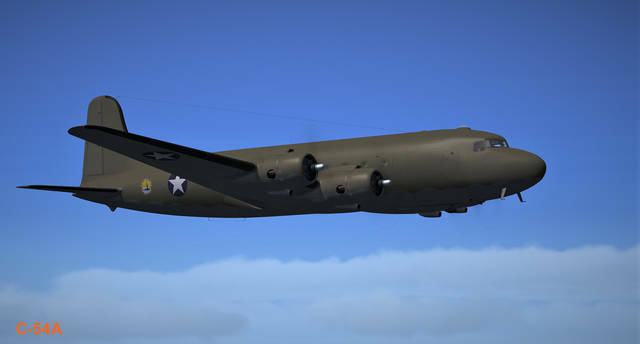 A total of 1,163 C-54/R5Ds were built for the United States military between 1942 and January 1946. 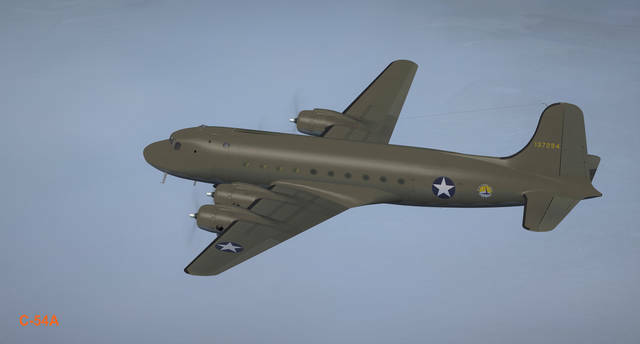 During World War II, C-54s flew a million miles a month over the rugged North Atlantic - more than 20 round trips a day. 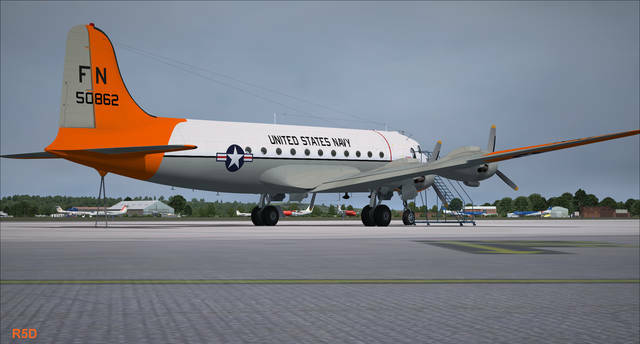 So successful and reliable was the design that it became the first presidential aircraft, ordered for Franklin D. Roosevelt. 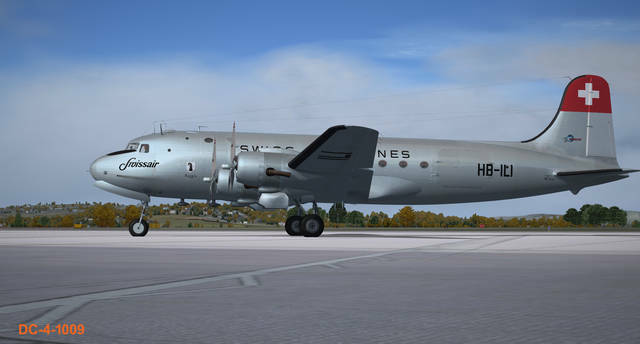 After World War II a further 79 DC-4s were built. 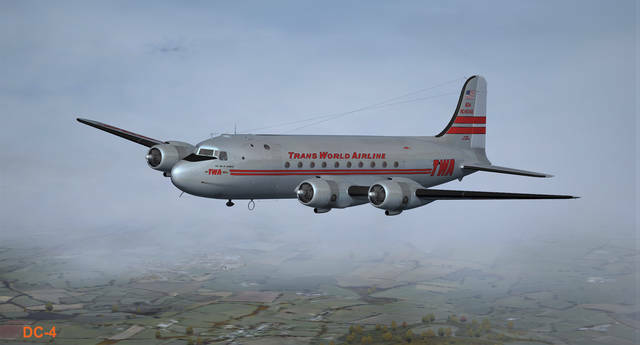 Commercial airlines placed more than 300 civilian DC-4 transports into service, and these DC-4s, along with C-54s converted for civil use, carried more passengers than any other four-engine transport during their careers. 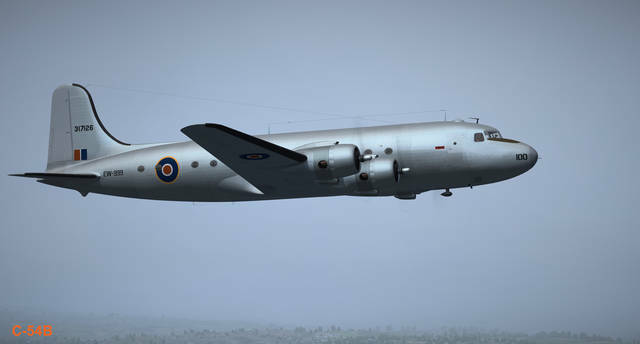 A variant with four Merlin engines was built in Canada postwar as the Canadair North Star. 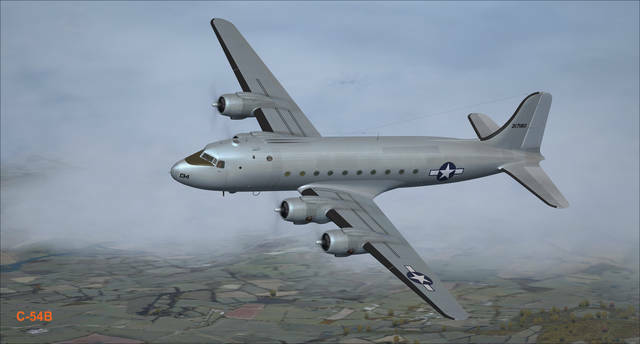 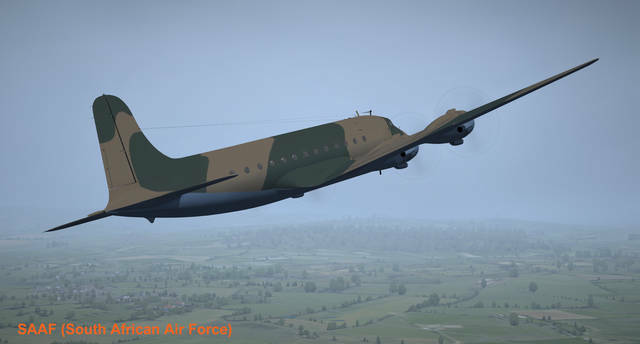 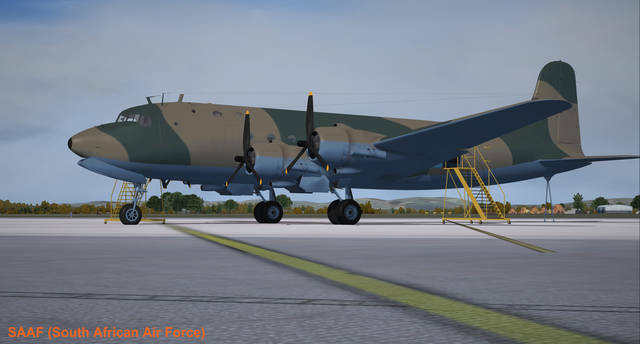 A total of 330 DC-4s and C-54s were used in the Berlin Airlift in 1948-1949, which made them the most used types in that crisis, and C-54s continued to fulfill their role during the Korean war and after. 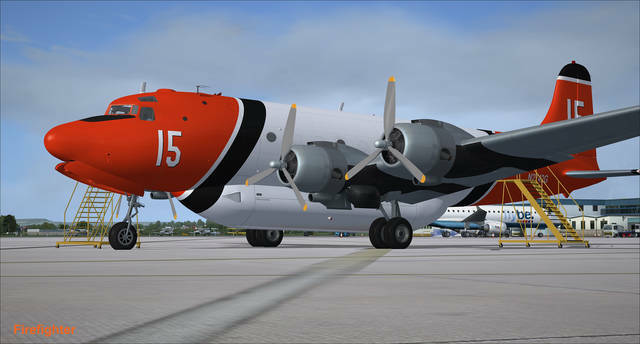 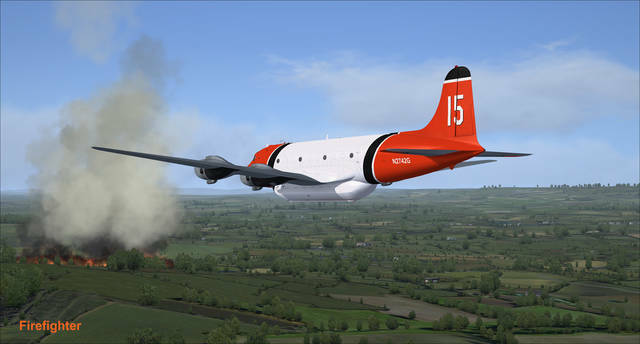 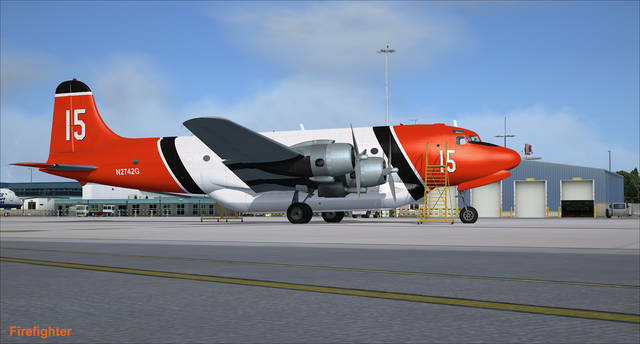 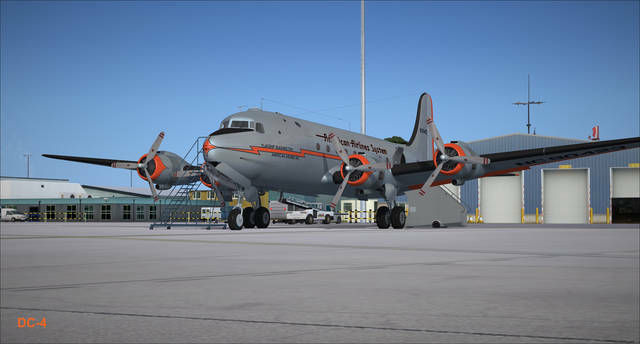 The aircraft have also found other uses over the years, such as in aerial firefighting, and few DC-4's were still proving their worth well into the 21st century, such as those with Buffalo Airways and Brooks Air Fuel. 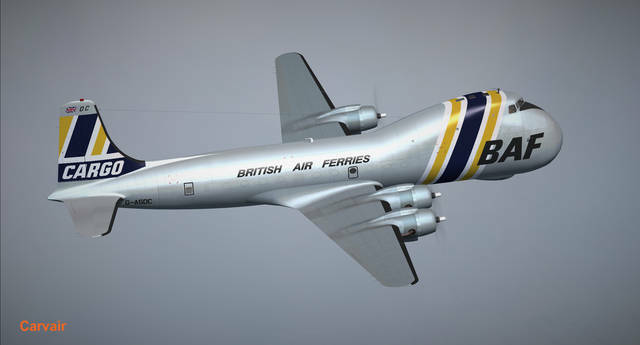 A further development of the type was done by Aviation Traders in 1961, when 21 airframes were converted to specialised cargo and automobile air ferries. 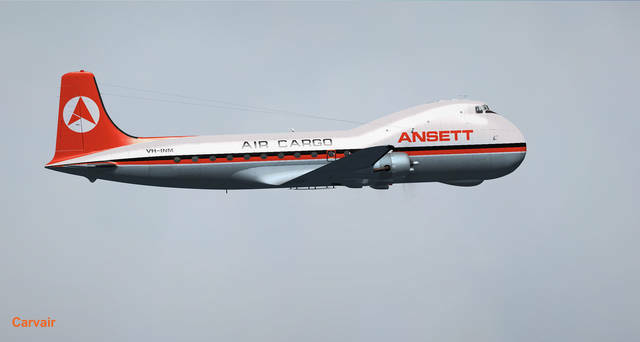 The conversion of the original aircraft entailed replacing the forward fuselage with one 8 feet 8 inches (2.64 m) longer, with a raised flight deck similar to that of the later Boeing 747, to allow a sideways hinged full-fuselage nose door. 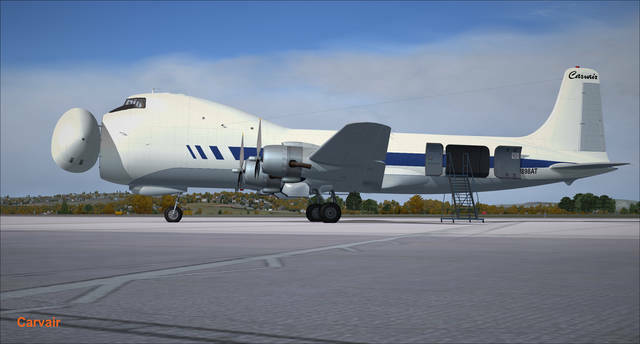 It also entailed more powerful wheel brakes and an enlarged fin and rudder, often thought to be a Douglas DC-7 unit, but in fact a new design. 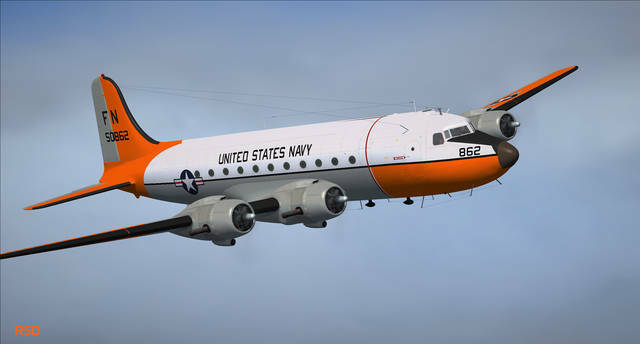 These were in service until the 1970s, with two aircraft still in existence in 2017. 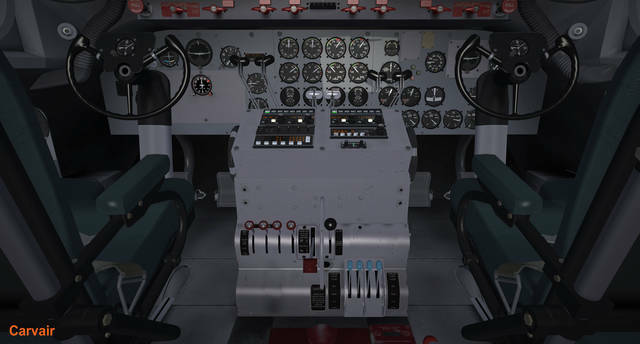 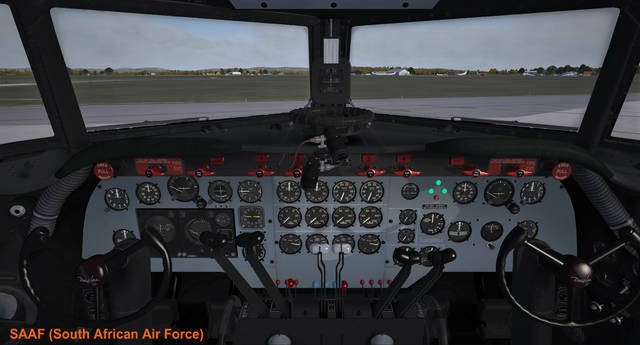 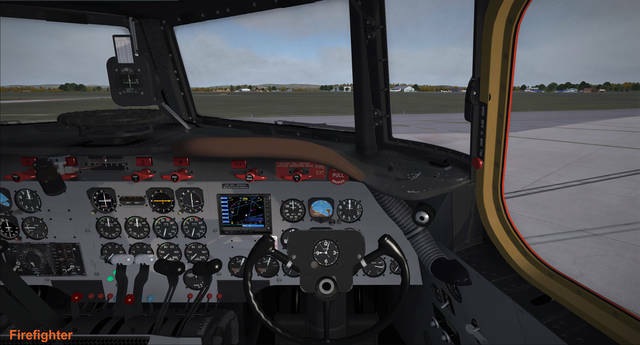 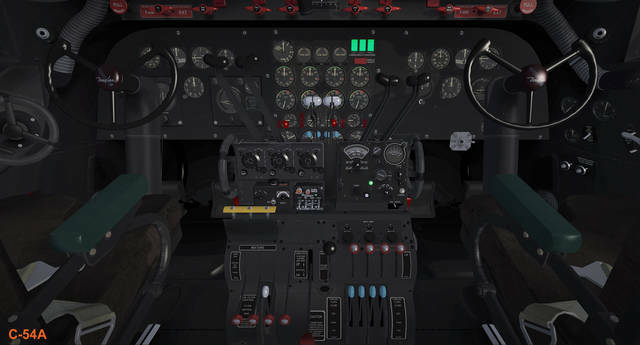 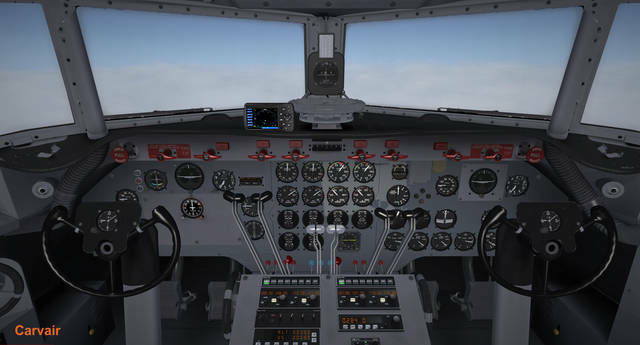 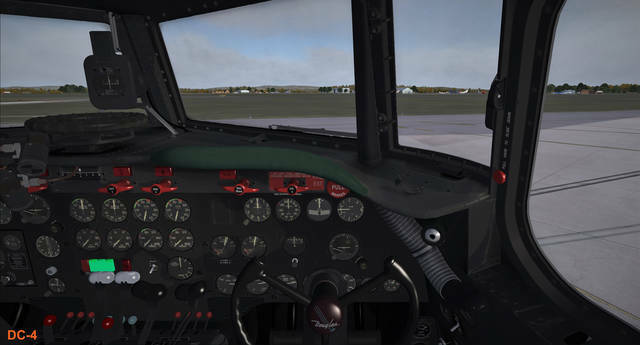 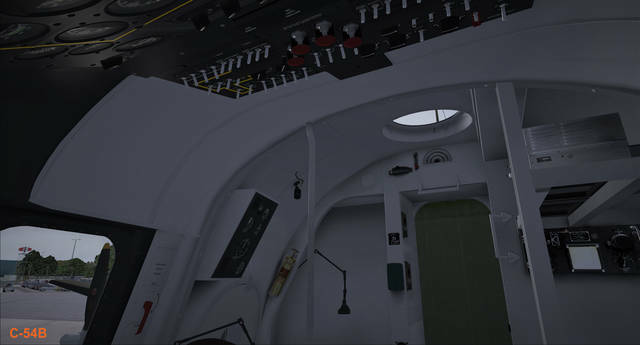 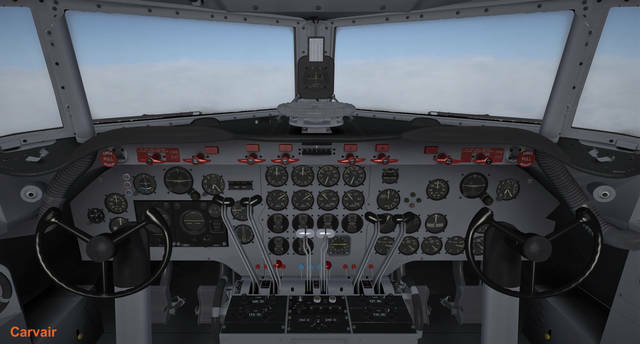 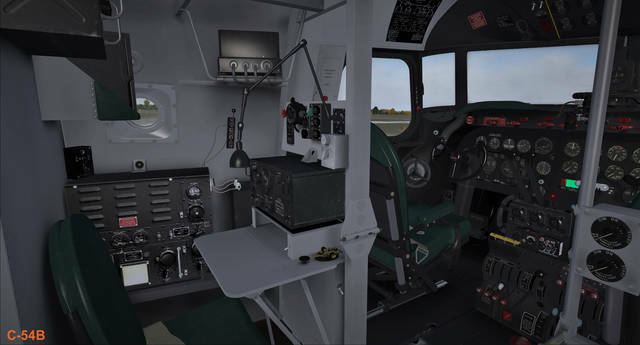 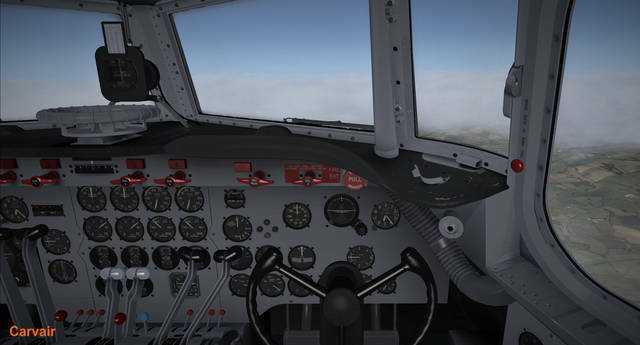 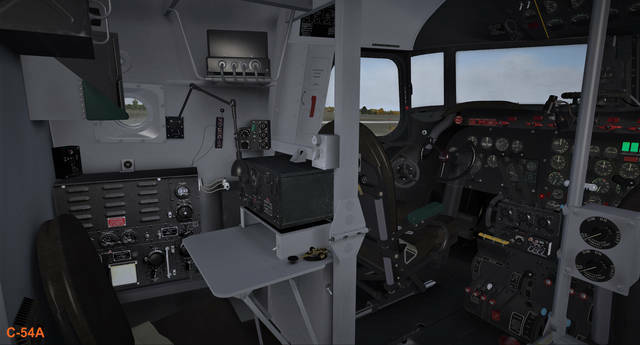 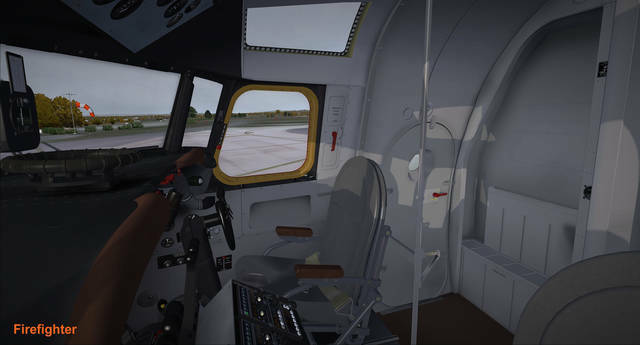 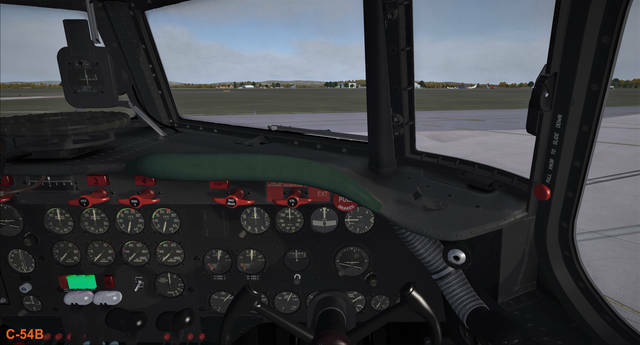 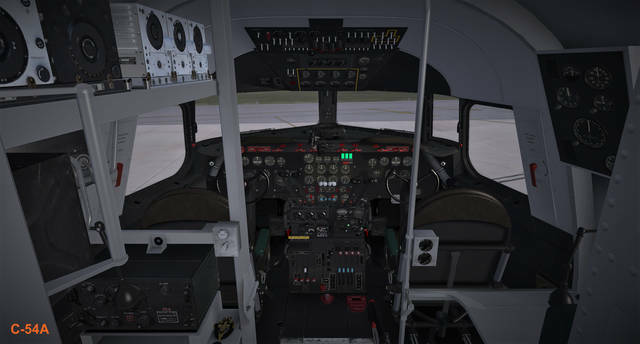 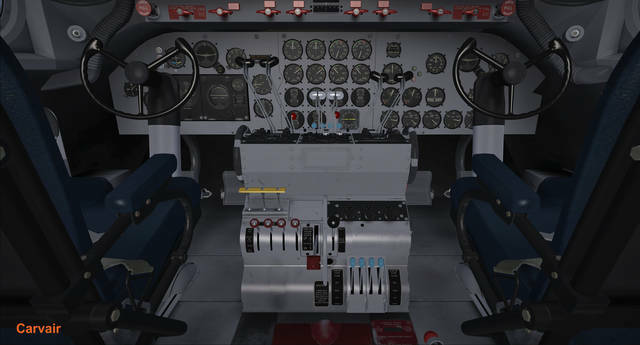 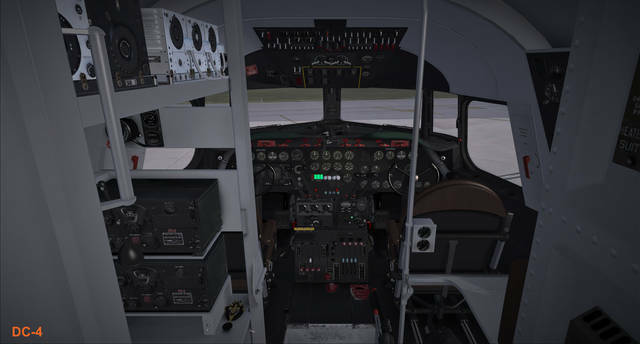 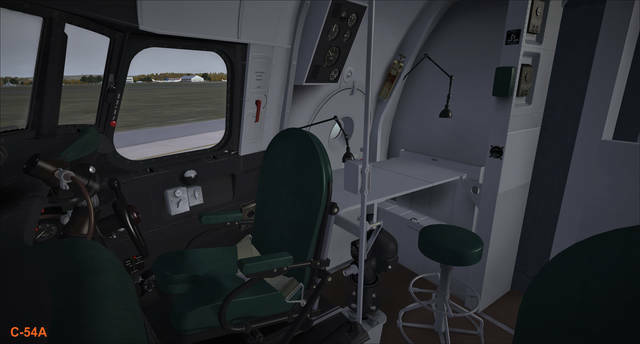 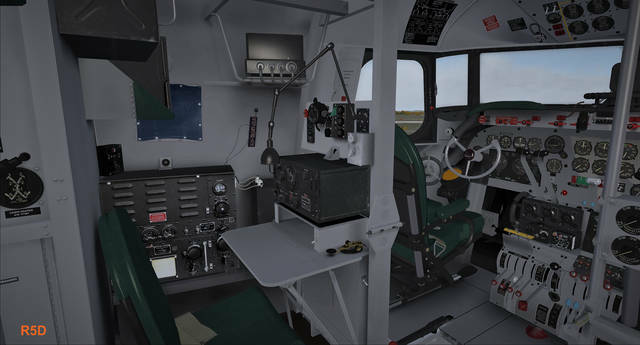 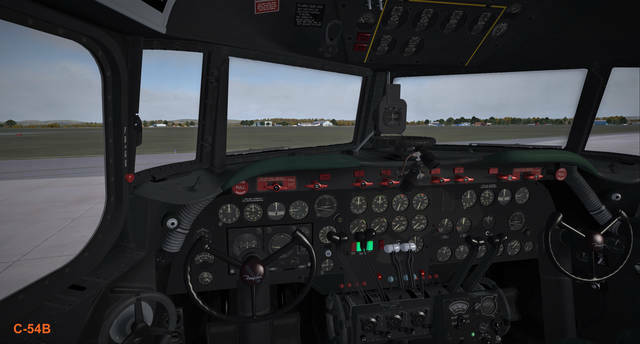 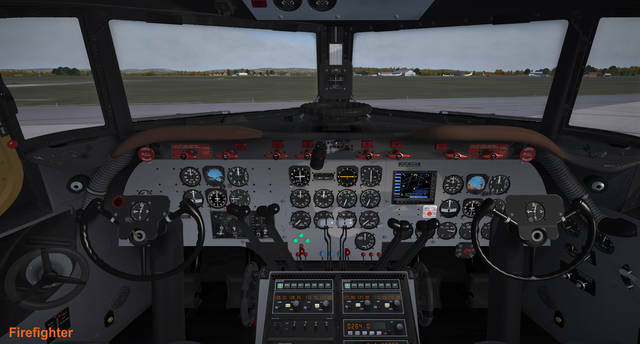 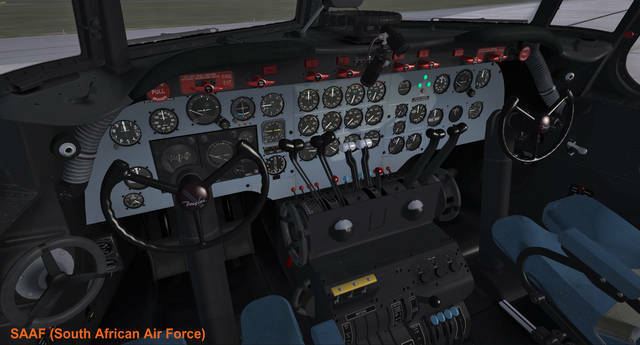 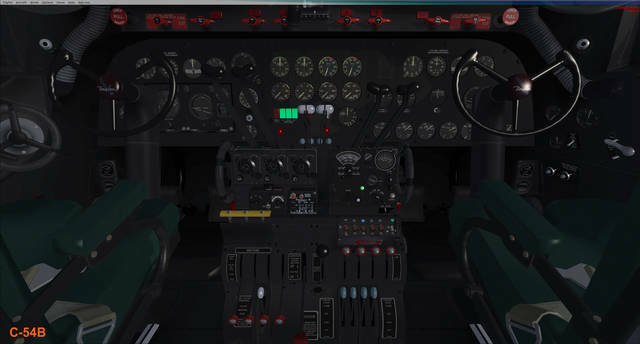 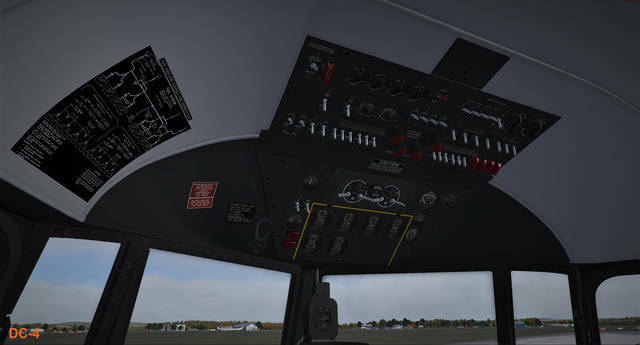 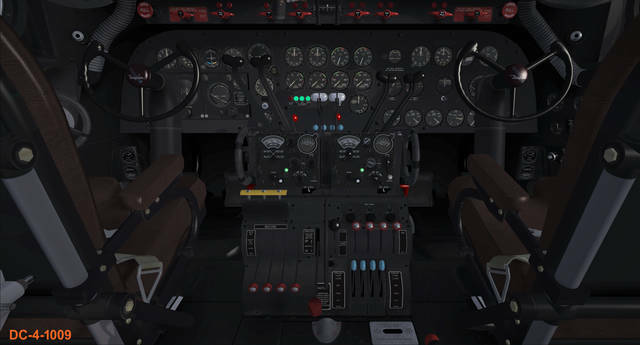 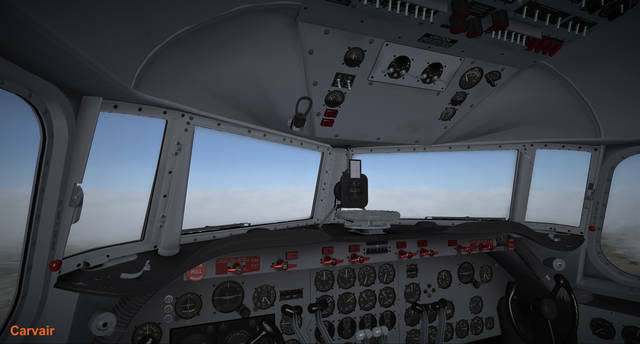 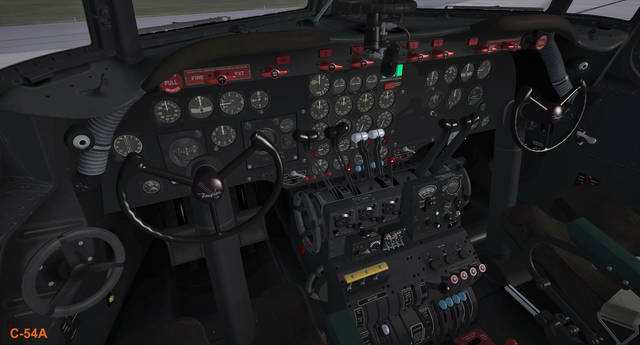 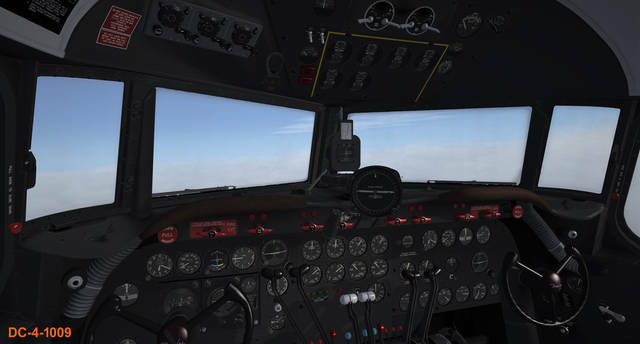 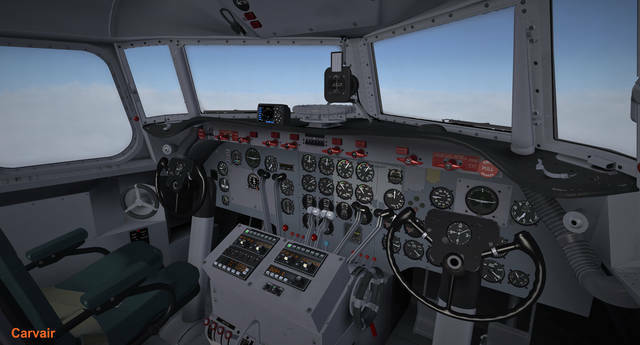 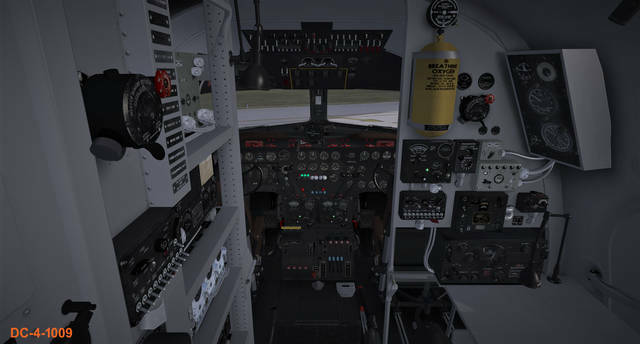 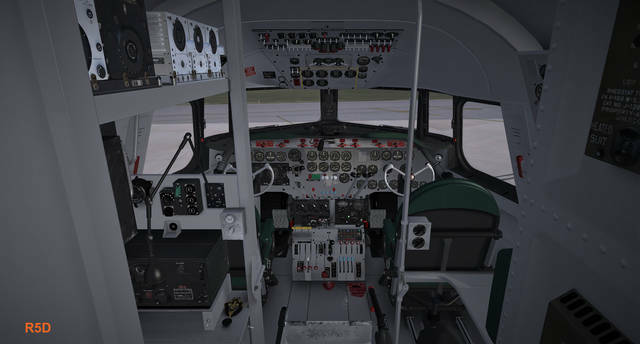 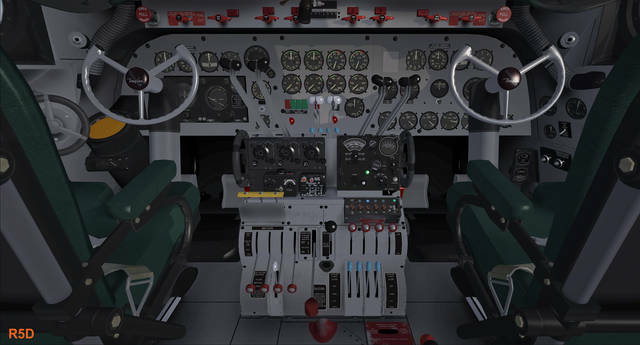 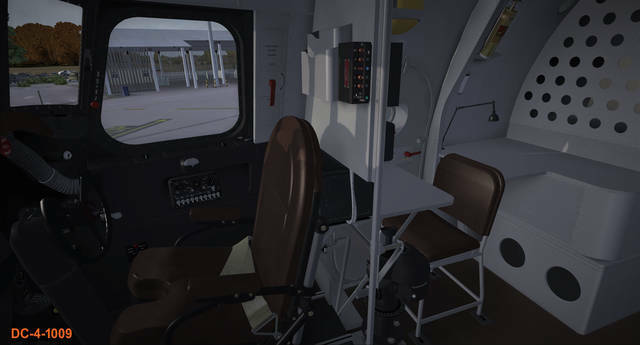 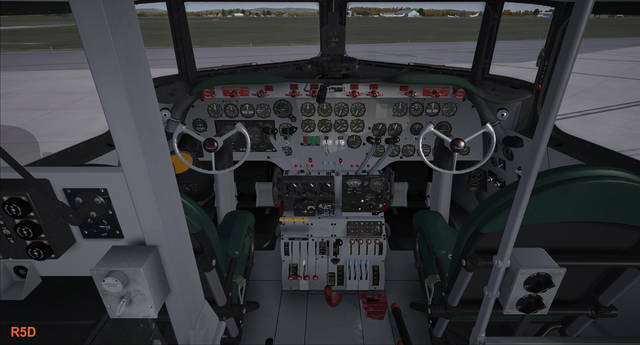 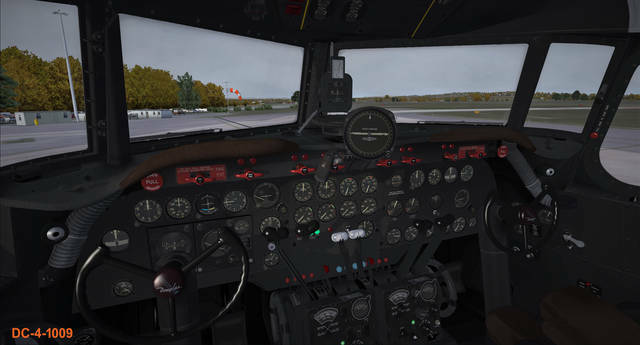 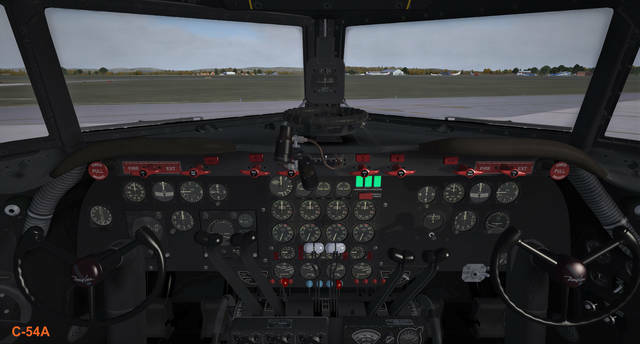 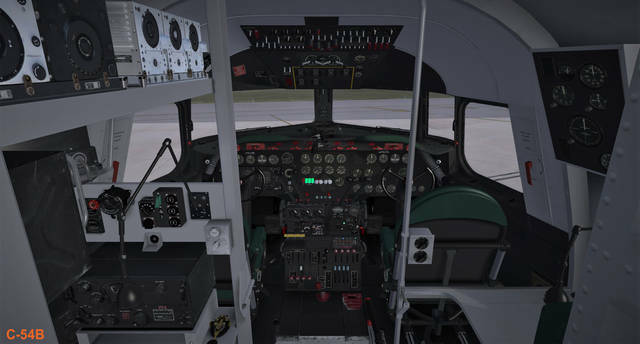 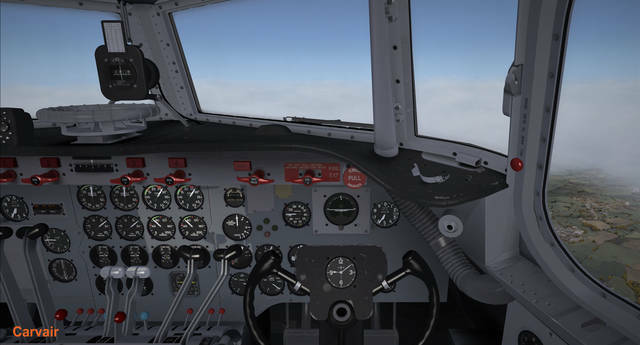 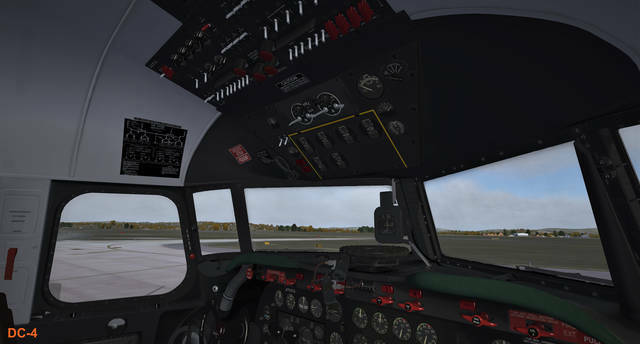 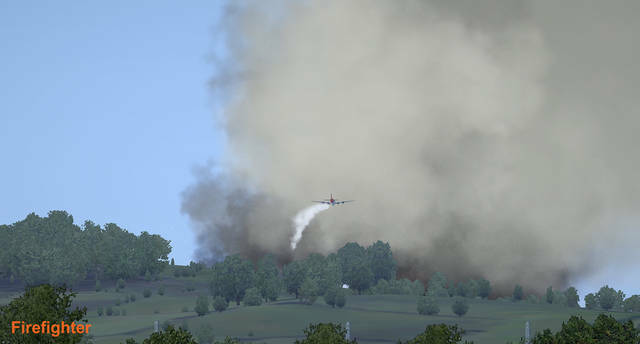 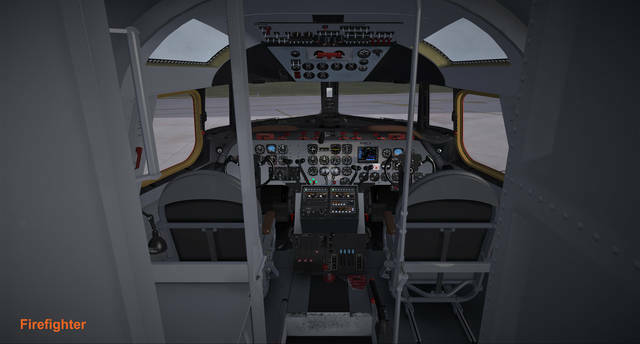 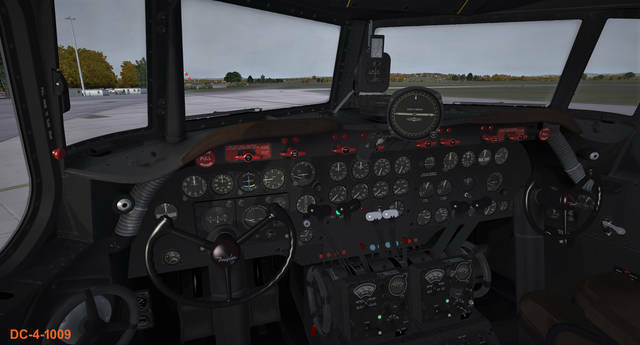 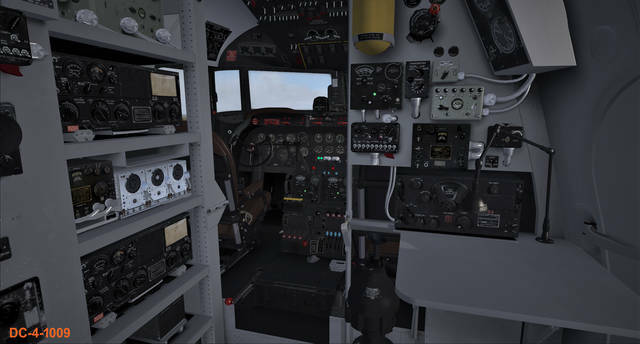 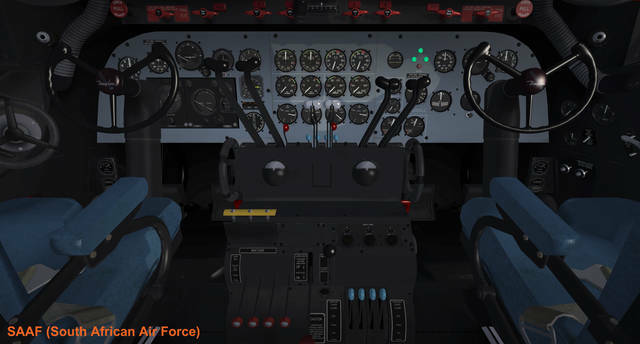 This Flight Replicas collection includes ten variants, with nine different virtual cockpits, covering operations over the type's entire history, from WWII and commercial airliners to firefighting and cargo ops. 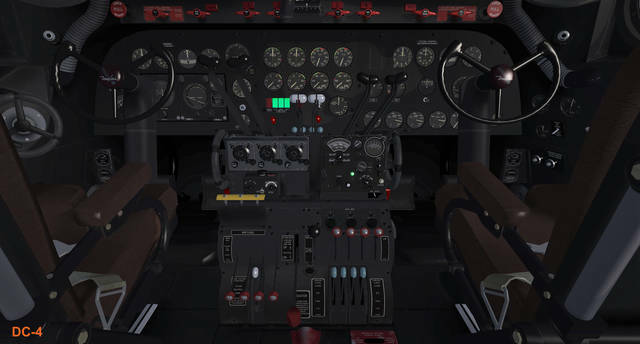 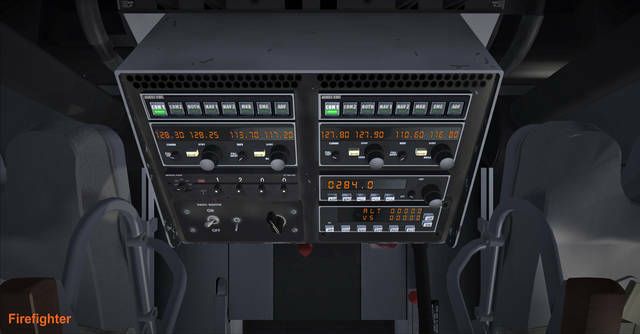 Features include accurate flight dynamics, working supercharger engine switch-over functions for high-altitude flight, functional autopilots, dual NAVCOM and (depending on VC) ADF radios, transponder, 2D GPS and animated pilots in external view.